You’ve made the decision to start your own website because you know in the long run, your business will be more profitable. Designing your website and creating your blog is a very exciting and fun step in your business plan. At least it should be! Building a website can be challenging if your not quite sure what to do or where to start. No fear! Follow this link to read 4 easy steps you can take today to get your blog up and running in no time. We are going to talk about step number 3 - designing your website. Specifically, about 10 essential fundamental building blocks your freelancer website needs. Ready to start creating? Lets Go! Your freelance business needs a logo because it is a visual representation of your brand. Often a logo is the first impression your clients have, so its important your logo is memorable. Make a brief sketch of your logo, then use an online platform like Canva to bring your image to life. Canva is great because its free, online, and customizable. To help your creative process you can use Canva’s templates and upload your own images, fonts, and graphics. To use Canva first go to Canva.com and search for logo. Second, pick out a template to structure your logo design. Customize your template with the endless elements Canva offers. From images, photos, charts, illustrations, and fonts Canva has it all. To download your template, click the download button on the right. Select the file type you would like and Canva will download your first design for free. They offer a 30-day free trial for new users! Some online platforms like Tailor Brands, will automatically generate a logo for you based on your specifications. You can tailor the final result and purchase at your convenience. First, go to tailorbrands.com and enter in your brand name. Next, enter in your industry. After going through a series of questions, Tailor Brands will generate a logo for you. The logo is customizable. Just click the “customize” button and you will be able to edit the image, color, font, and size. When you are happy with your logo, you will need to purchase. We recommend just a basic plan which comes with the PNG of your logo. However, one benefit of the premium plan is the business card generator! You can list your job on Upwork or Freelancer and let various graphic designers pitch their services. In addition, you can search for a freelancer on Fiverr. Personally, I hired a freelancer on Upwork and loved the results. There are a few things to remember when hiring a freelancer. Check Their Portfolio: Peruse their past work to have an idea of the extent of their skills and knowledge. Check Their Testimonials: See what previous clients say regarding communication, timeliness, and attention to detail. The last thing you want is a freelancer to ghost you in the middle of your project or design your logo incorrectly. Check Out Their Website: I recommend only hiring freelancers with a personal website because it provides a greater understanding of their personality. Read Their Pitch Carefully: Look for spelling and grammar mistakes that could indicate a lack of detail. Make sure the tone is professional and they use the lingo of their trade. Set Clear Deadlines and Expectations: Make sure both of you understand the project’s length, cost’s, and final result. Where you place your logo on your website is largely up to you. We recommend you put your logo on your landing page, portfolio, hire me pages, and professional email. More details on these pages soon. Keep reading! Your freelancer website should absolutely have a blog. If you are not convinced why you should have one I have a more in depth article explaining why your freelancer business needs one. Your blog will be the key stone of your content marketing strategy. The content you create helps establish your brand, build a loyal following, and ultimately sell services or products. Disclaimer alert: your about me page is not really about you! Though your about me page should have a professional photo of you, it should not have a long story about how you became a freelancer, your life struggles, or your dreams, etc. Bluntly, clients really don’t care about your life’s details. What they do care about are the services you will provide them. Creating content for your blog is time consuming hard work and you’re not getting anywhere fast. I have a solution - let me help you! Hi, I’m Demeris, a professional freelance writer, photo editor, and web designer with over three years of experience. I create content for your websites, businesses, and social media accounts. My content is creative, professional, and most importantly, it converts by increasing traffic and engagement. Ultimately, my content generates more leads, sales, and money for you. Email me today to receive a quote on your next project. BOOM. The sales pitch address my audience’s pain points - its hard work to create content when you have little to no time. Then I offer a solution - I can help because I offer content creation services. I express my skills and value - my content will make you a profit. Finally I ask my consumer, to take action - email me. Here is a screen shot of our current about me page, broken down visually for you. 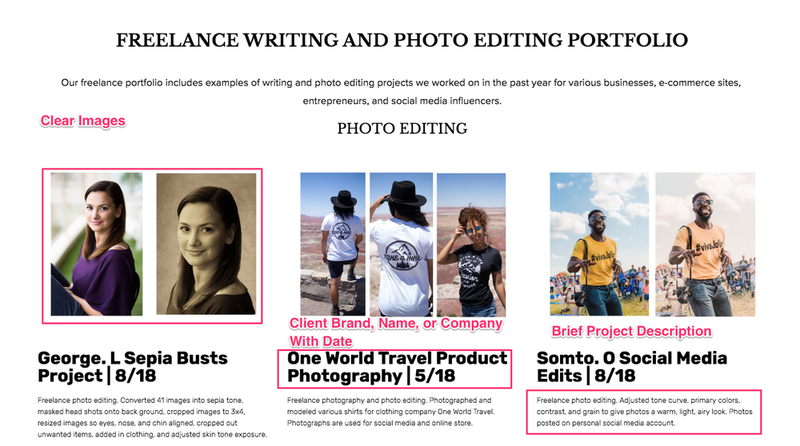 PRO TIP: Place your call to action in a button or link, that will link your about me page to your connect page so your clients have a clear way to contact you. 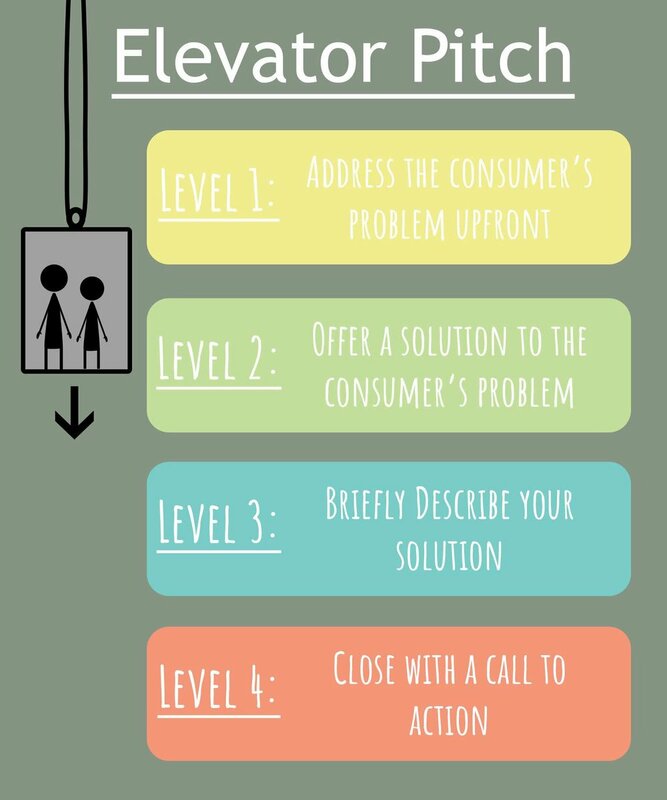 Next, you will use the elevator pitch template to design your “Hire Me” page. Like your about me page, your hire me page should be formatted like an elevator pitch, with additional details about your skills and experiences. 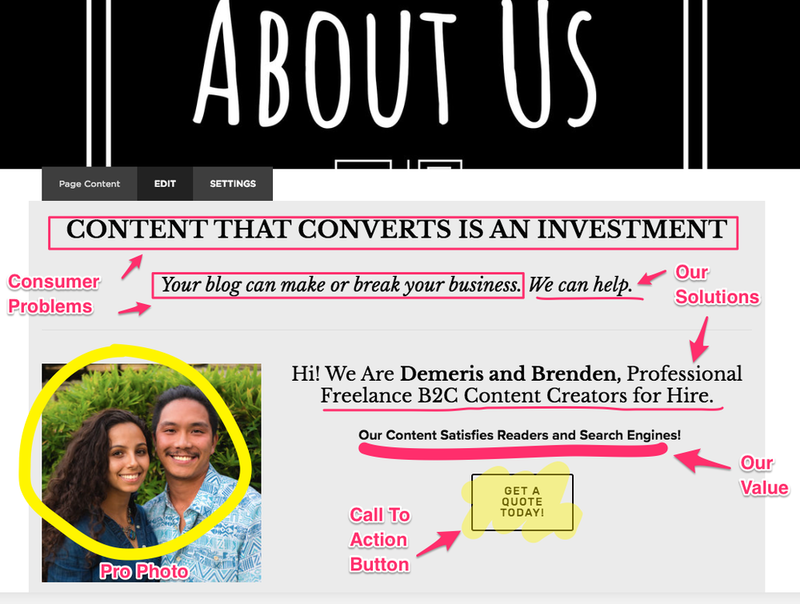 Here is an example of our current hire me page visually broken down for you. The order of the images correspond with the order of the placement on our website. User Experience: Make sure the page looks clean. All your headers and fonts match, your photos are high resolution, and all the links work properly. Spelling and Grammar: Make sure there aren’t typos or grammar mistakes. Typos look unprofessional and easily indicate to a client your lack of detail. Your as Detailed as Possible: Statistics are very persuasive. Inject them wherever you can. You boosted a clients social media following? By how much? Once you create a hire me page, you need a page of proof to back up your claims. Hence, your portfolio and testimonial pages! Your portfolio and testimonial pages are the proof of your skills. Clients will look at the quality of your portfolio and decide if your skills and expertise are relevant to their project. One of the strengths of having your own website is your portfolio. All of your work is organized into one easy place clients can reference when you apply for jobs or pitch your services. Say a client reads your portfolio, likes your work, and believes you would be a good fit for his job, what does he do next? He tries to contact you, so you definitely need a connect or contact me page for clients to reach out to you. You readers and clients need a way to contact you if they want to leave feedback, write a testimonial, or hire you. To do this you must create an email form and link it to you freelancer email. I will briefly show you how to do this in Squarespace and Wordpress. Go to http://support.squarespace.com to access the video. PRO TIP: Add your social media links to your connect page to give readers another way to follow and reach out to you! 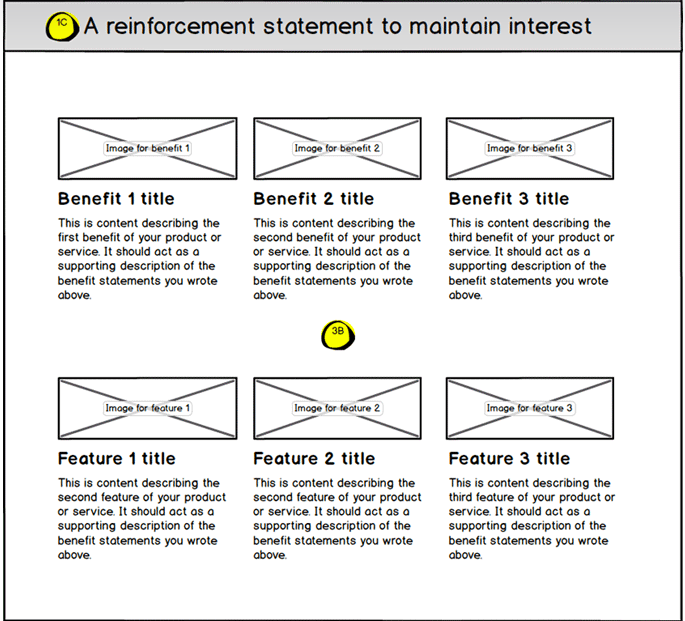 Once you have your connect form set up, readers and clients will be able to communicate with you through your email. Make sure to check your freelancer email daily and respond to questions within 24 hours. Good communication is key to building rapport with your followers and clients. A landing page is the first page, readers “land on” when they visit your site. In marketing terms a landing page is a “lead generator page” and its sole purpose is to turn traffic into followers and leads. A landing page is a must have to start building your audience and landing more clients faster. How do landing pages convert traffic? Well designed landing pages convert because they are a visually stunning first impression of your business. Landing pages with images and videos elicit an emotional response in readers, which influences them to take action. Testimonials and logos of brands offer immediate proof that a company is established or a professional is experienced. Furthermore, landing pages are specifically designed with one target audience in mind. Headlines, images, and call to actions are geared to help a specific consumer take action. How do you design a landing page? Read further and follow these steps to create your first simple but effective landing page. A short one sentence tagline about your services or products. Similar to an elevator pitch your attributes should touch on pain points, features, and benefits of your services and products. If you are offering your service we recommend including a picture of you performing your service. If its your product then a picture of your course, ebook, etc. You images should be high resolutions, clean, and precise. Nothing looks worse than pixilated images! Make it easy for readers to convert to potential customers or leads by including a “sign up” form on your page. Remember it is all about the customers, so you need to include an incentive. Incentives could be a free course or book, discounts to your products, or a free quote. Your call to action is the highlight of your landing page. Make it front and center of the stage and remove any distracting buttons or images from around it. Make it pop with catchy colors and designs. You want to direct consumers to the rest of your website. You can do this by including your navigation bar. However, you do not want your nav bar to distract from your call to action. Minimize your bar or put it at the bottom of the page. There is no need to go crazy with designs on your landing page. You want your page to be as transparent as possible for customers. Make sure your sign up form is obvious, your photos are high resolution, and all your buttons work. If you are struggling to design your landing page you can also use templates and optimizers to make sure your landing page is maximizing conversions. Unbounce, Landingi, and Leadpages are all great online tools and resources to help you build a killer page. You may think that emailing is dead, but in fact email marketing is the corner stone to many successful business’s marketing plans. Approximately 3 billion people world wide use email to communicate, thats about half of the worlds population! Most of your readers are using email, so you should be using email to communicate with them. An email newsletter is a versatile tool which keeps you connected to you readers. In addition, you readers continue to receive value in the form of fresh content not found on your blog. Your email list is your golden egg because they are people who have “opted-in” to receive your content. Readers that “opt-in” are much more likely to become loyal followers, buy products, and share your content because they see your value and choose to consume your content. Not quite sure how to set up an email newsletter campaign with Mailchimp? No worries we got you covered! Once you create your newsletter and understand how to add an email form to your site, then you want to add the newsletter form to your site! 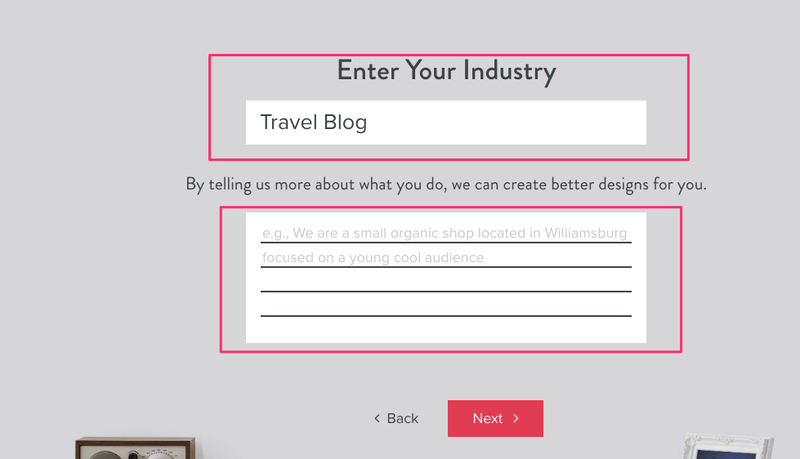 Place your newsletter form at your footer of all your blog posts and the side bar of your website! You want readers to obviously see your newsletter form when they are browsing your site so they can easily sign up to receive your email content. Social media makes distributing content easier than ever before. In minutes you can upload your content and platforms will automatically share it to potentially thousands of viewers at no work or cost to you. Similar to email marketing, social media allows you to connect with customers. An established social media presence gives you authority. Today savvy customers take time to look up brands on social media like Facebook and Instagram. When your social media pages are empty, you will immediately look illegitimate and readers will bounce from your page. Start building an online presence today with Facebook and Linkedin. Once you have your accounts, link your social media pages to you website to encourage readers to follow you on other channels as well. Put you social media links and logos in your footer, side bar, and contact pages. Looks: People are visual consumers. A simple but eye catching design encourages users to dig deeper. Feels: Your page should be a pleasurable experience to use. Easy and intuitive designs elicit positive reactions. Functions: All of your buttons, links, and animations need to work to establish credibility and trust. To start, keep your designs and color palates simple. White space is your friend when writing blog posts. All your images should be high resolution and clear. Make sure that all your buttons, links, and forms work properly. As you grow, you can slowly reformat your website with more animations and pages, but initially resist the urge to bite off more than you can chew. Owning your own website and creating your own blog is empowering! The creative process of designing and customizing your blog is exciting and very rewarding. We leave you with this final idea - ultimately your website is a business tool. Keep your audience in mind while putting your website together. Include elements that in the long run bring in more clients for you such as a logo, landing page, hire me page, connect, about me, newsletter sign up, and social media links. Lastly, don’t get too caught up in the fine details. A simple but functional site is more powerful than a complicated and non-functional site. Get your website up and running and start pumping out content to fill your pages! Do you need any help creating one of these essential elements for your freelance website? Let us know we would be happy to help.